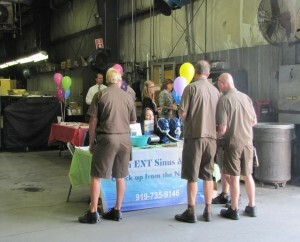 UPS Asheville will be promoting wellness to their 150 employees at their 5th annual employee health fair. UPS is committed to providing a healthy and safe work environment for their employees and strive to keep their employees healthy and accident-free every day. The UPS Asheville management team is excited to bring local wellness providers together with their employees for the purpose of educating and developing long-term relationships that will be beneficial to all. They invite all vendors that are a fit for the categories they’ve selected to submit their request to participate.